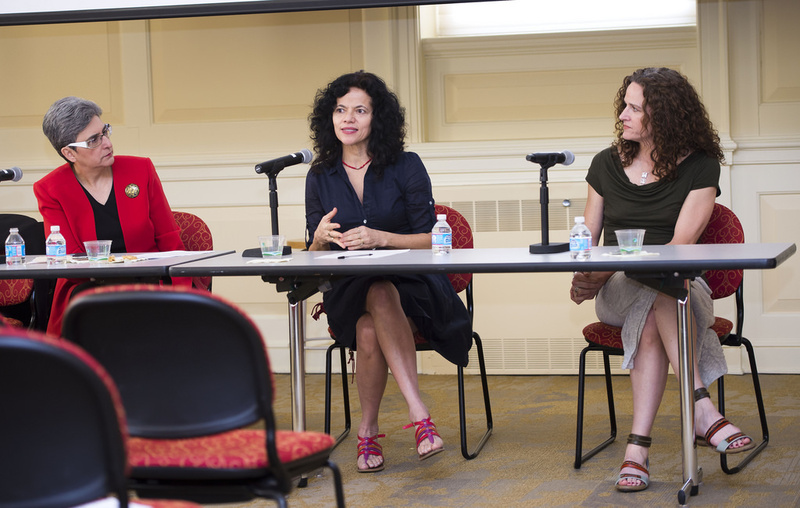 The Social Networks and Environment Symposium featured talks by a panel of scholars whose research applies innovative social network methods to understand pressing issues related to the environment. The event was co-sponsored by the Program for Society and the Environment, National Socio-Environmental Synthesis Center, College of Behavioral and Social Sciences (BSOS) , Department of Sociology and the Graduate School at the University of Maryland. 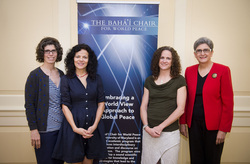 The 2014 Bahá'í Chair for World Peace Second Spring Symposium co-sponsored by the Program for Society and the Environment . The beautiful event was held Friday, May 2, 2014 in the McKeldin Library, University of Maryland. The distinguished panel of speakers included Dr. Patricia Romero-Lankao Interdisciplinary Sociologist & Research Scientist at the National Center for Atmospheric Research (NCAR) & Dr. Debra Davidson an Associate Professor, Resource Economics & Environmental Sociology at the University of Alberta Edmonton. Friday, April 4, 2014 - 1:30 p.m. to 5:30 p.m. The Potomac Center for the Study of Modernity Corcoran Gallery of Art, 500 17th Street NW, Washington, DC. Dana Fisher presented “Connecting Environmentalism to Democracy through Environmental Stewardship"
Dana R. Fisher gives keynote address at Grow Our Grassroots conference on March 15, 2014 sponsored by the City of New York. For more information, go to their website. Team meeting to write book on Urban Environmental Stewardship at the PSE. 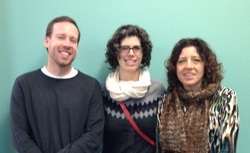 James Connolly, Dana R. Fisher, and Erika Svendsen met on February 4, 2014 to work on Urban Environmental Stewardship and Civic Engagement: How Planting Trees Strengthens the Roots of Democracy, which will be published by Routledge Press. Workshop held on Collaboration and Conflict in Environmental Governance (sponsored by SESYNC). Participants include (from the photo l to R): Kent Portney, David Hess, I. Bogdan Vasi, Joe Waggle, Jennifer Hadden, Carmen Sirianni, Anya Galli, Dana R. Fisher, Suzanne Staggenborg, Ed Weber, Lorien Jasny, Jeffrey Berry, and Kenneth T. Andrews.